S&S design #1054. 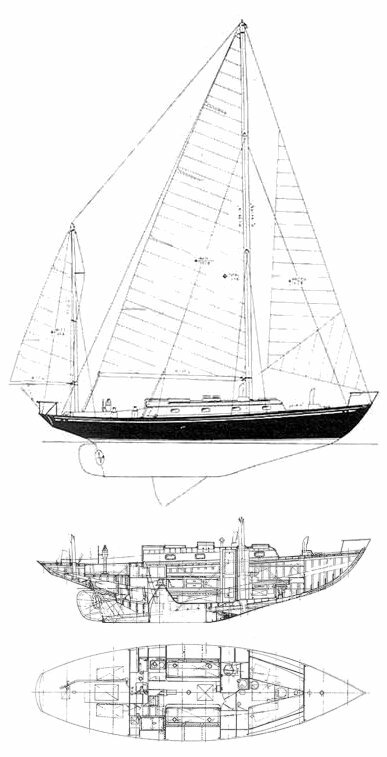 Included here because the original 'Finisterre' has a racing record unequaled to this day for an individual boat (under the ownership of Carlton Mitchell), but also because it set the standard for the beamy centerboard type popularized during the late 1950's and early 1960's, at the peak of CCA rule in America. Designers such as William Tripp Jr., Charles Morgan and others certainly owed much to this particular boat.